In June of 2011, N.A.B.S. partnered with Kidz Harbor, a Child Protective Service Facility located three miles from The Sanctuary, to form 'Second Chances For Kidz & Dogz'. 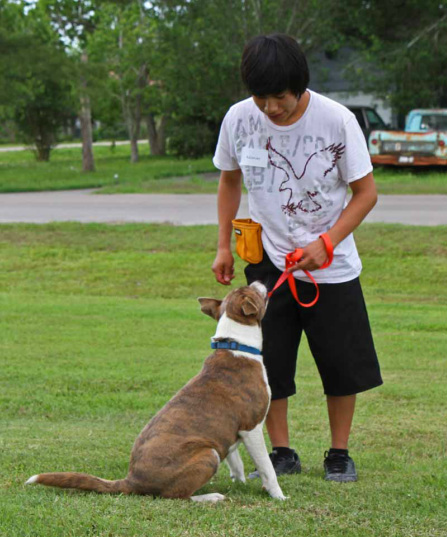 Three days a week at The Sanctuary the kids learn responsibility and foster self-esteem as they work with a dog of their choice teaching it basic obedience in a group setting. Both child and dog learn to trust each other as the two of them work together as a team. Adult trainers supervise as the kids are taught to become pack leaders using Cesar Milan's methods. 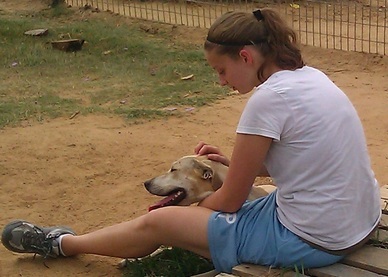 The children are allowed to take the dogs on walks, feed them, bathe them, and groom them. The kids also have the opportunity to assist with chores at The Sanctuary. If they exhibit good behavior they are rewarded the freedom to romp with their new best friends inside the play yard. Or they may choose to walk on a nature trail or watch as 'their' dog plays in Lake Tranquility. The majority of our rescues were abandoned and/or homeless. They are eager to be petted and hungry for the kids' love and attention. 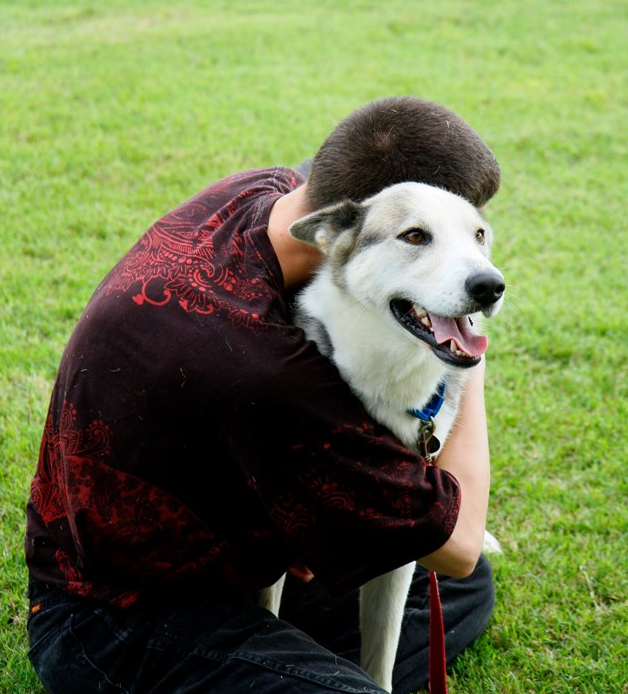 Each dog needs a fresh start and these children bond quickly with the dogs because they can relate to the fear, anxiety, and depression the dogs have gone through. Sometimes Kidz Harbor will take the kids who participate in our program to Petco or Petsmart. These kids show a maturity beyond their years when 'their' dog is adopted. They are joyful for the dog! We can't take credit for the kids loving enough to let go of the dog they have bonded with so it can become part of a new family. Their ability to 'love and let go' is evidence of a deep yearning on their part to have the same thing happen to them. They pray to become part of a loving family of their own one day. The dogs in this program are more likely to be adopted and stay adopted. Dogs that were hyper or unruly learn to practice good manners. The timid or shy dogs learn to trust and come out of their shell. 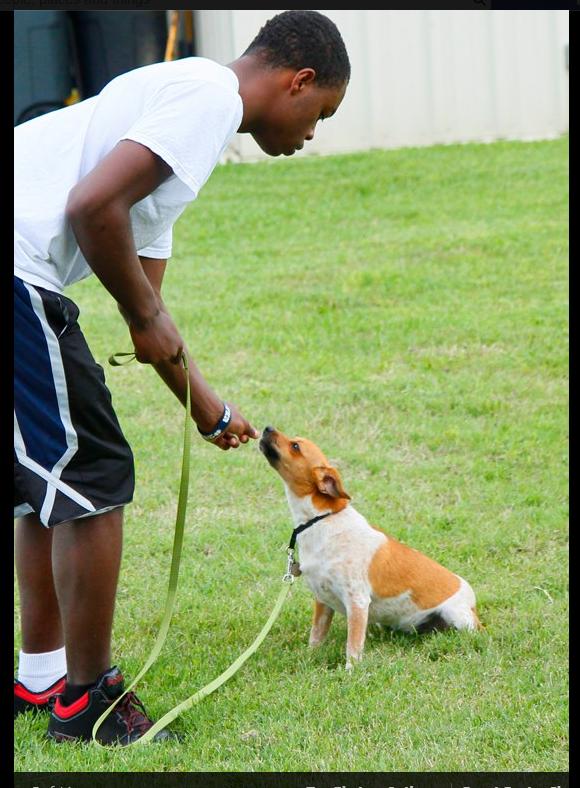 The one on one attention and training is good for the dog and good for the child as he/she learns to be the dog's master. We believe we have a win/win formula. The formula is simple: One unhappy kid plus one lonely dog equals two joyful souls when mixed together. April 22, 2013 -- Noah's Ark Bayou Sanctuary in Danbury began a new collaboration with Kidz Harbor in Liverpool called Kidz to the Rescue. 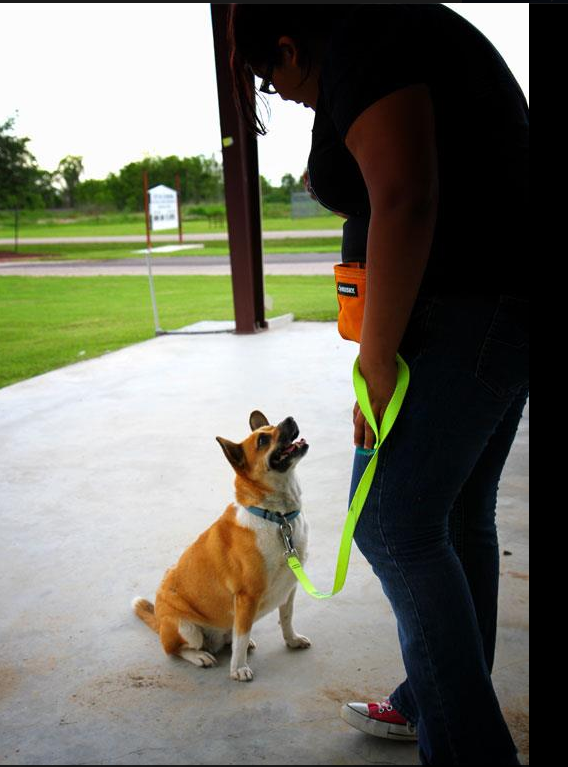 Foster children living at Kidz Harbor were paired-up with dogs from Noah's Ark Bayou Sanctuary for training sessions with a professional dog trainer twice a week after school. 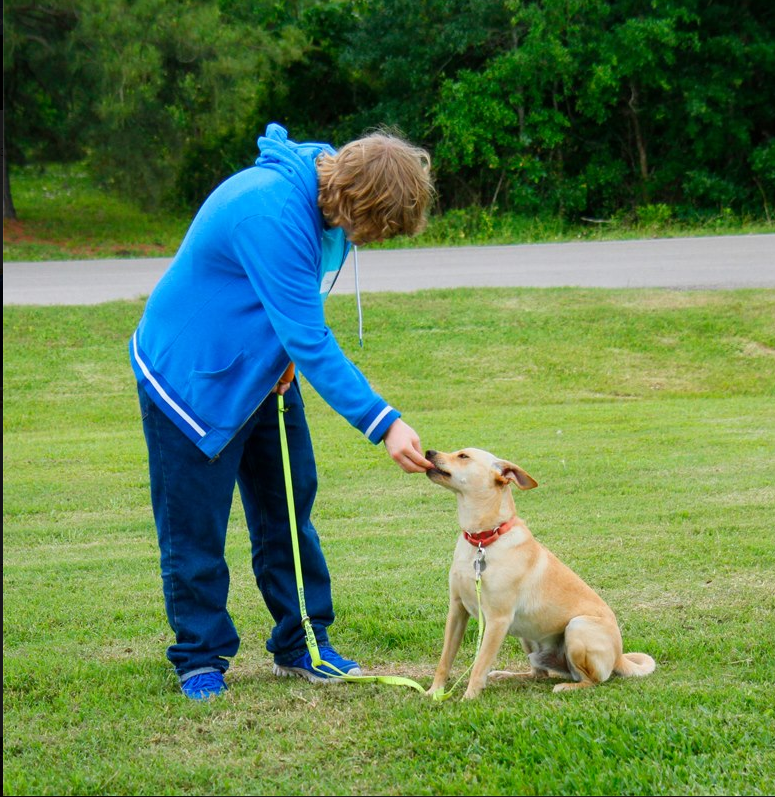 The teens learned basic obedience commands and how to leash walk their dogs. 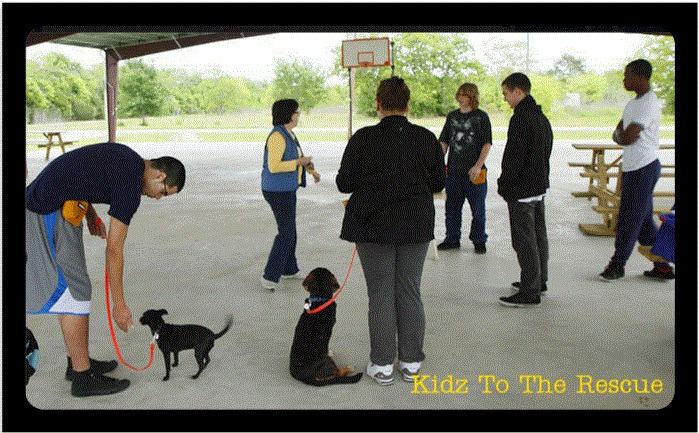 The goal of Kidz to the Rescue is to provide fun, positive learning experiences for the foster children and dogs. What is this picture worth? Priceless! Something powerful has been captured in these pictures. Experts say 80% of all communication is body language. As we look at these pictures we can literally 'see' peace as it encompasses like a blanket. We are witnessing a perfect balance right before our eyes. Lives are being restored and hurts healed in these dogs and in these precious children. These kids are free right now from all their worries. They are at peace, living in the moment, and so are the dogs. What you are seeing in these pictures is a combination of peace, joy, and unconditional love.